Wigs by Envy. 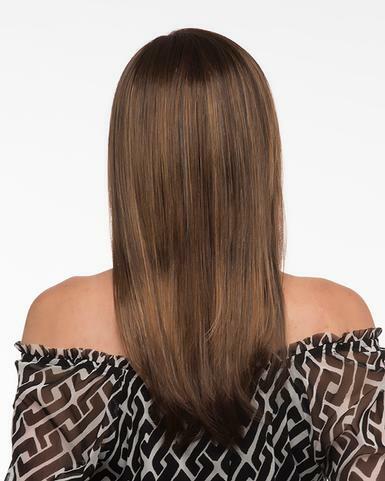 Belinda has a lace front and mono-filament top, synthetic hair and average cap size. SKU: envy_belinda. Categories: Envy Wigs, Lace Front Wigs, Top Brand Name Wigs. Tags: Envy wigs, Lace Front Wigs, monofilament part. Belinda by Envy is constructed with the latest in lace front technology, featuring a hand-tied mono part for the most natural in realistic styling. This wig has been designed with down-to-earth sensibility in mind, and is fashioned from mid-length, face-framing angles and ends that fall below the collarbone. Belinda by Envy Wigs Lace Front Mono Part. ENVY WIGS, Lace Front: A natural beauty — A gorgeous hairline everyone will think you were born with. Our Lace Front styles mimic your natural hairline, right down to those wispy little hairs that frame your face. Just like more costly custom-made pieces, the graduated density of these styles begins with a finer appearance in the front and gradually increases as it reaches the crown. You can part it and style it like it was your own. Run your fingers through your bangs and trust that your Lace Front style looks believable, beautiful, and enviable, naturally.